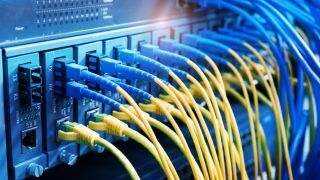 SSE Enterprise Telecoms has launched a new fibre backhaul service that allows smaller ISPs to ‘virtually’ unbundle Openreach exchanges. Unbundling allows service providers to gain more control over the connection by installing their own equipment in the exchange. However, SSE believes this is prohibitively expensive for smaller ISPs, restricting their ability to expand services. SSE’s nationwide network comprises 14,000km of fibre, while it reached a deal to unbundle more than 700 Openreach exchanges last year – the move doubled SSE’s reach, adding 180,000 business postcodes. The new service, called Scalefast FTTC, will allow customers to access 733 exchanges (179 parent exchanges and 554 child exchanges) across the country, offering a pay-as-you-go model. Billing is based on the amount of data that passes through each exchange. This, SSE claims, will allow ISPs to expand into new areas more rapidly and to take new customer orders within three months. “Scalefast FTTC is a solution that gives customers the ability to virtually unbundle BT Openreach exchanges at very little capital or operational cost,” said Colin Sempill, Managing Director, SSE Enterprise Telecoms. SSE has helped Three to futureproof its infrastructure ahead of its 5G launch later this year. SSE’s fibre network has improved backhaul between Three’s mobile sites and 20 data centres dotted around the country, lowering latency.